Riding in winter can be a challenge. The dark days can slash any hopes of hacking and schooling your horse and it becomes more tricky when the ground is cold and hard. All in all, it often seems impossible to keep him at his best when you can’t go any faster than walk. Here we meet Diane Green and her horse Winnie, who are having a lesson with dressage pro, Sara Gallop. 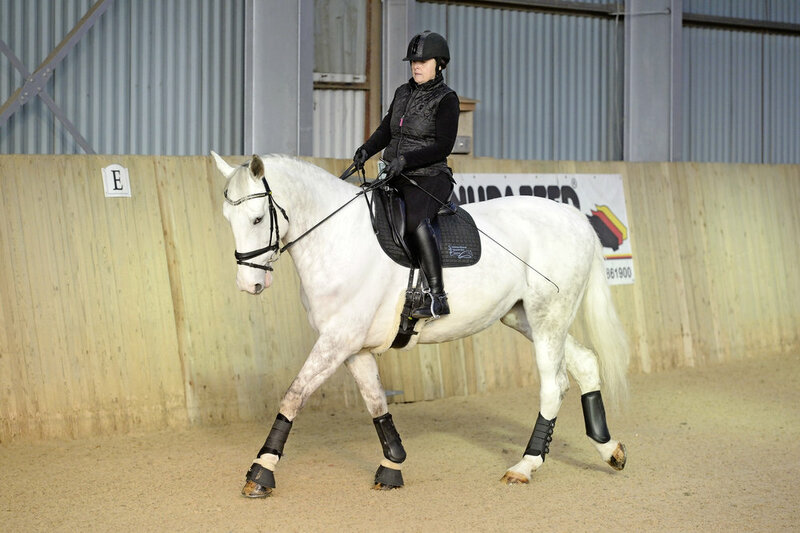 Diane is a para rider and her disability means she can only school Winnie in walk and needs to use exercises that help them get the most out of each session. 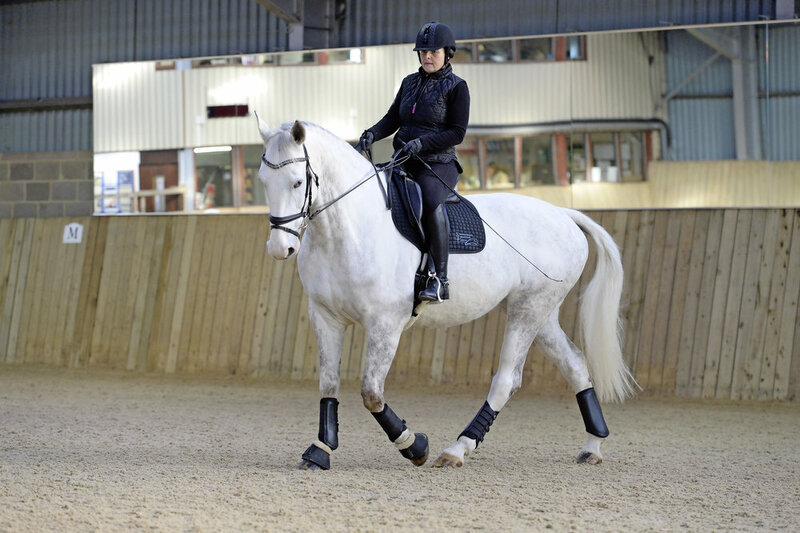 If your horse has a tendency to switch off when you ask him to walk, try a few transitions to get him concentrating. This is a good exercise to start with as it helps him become sharper off your leg and makes him understand that walking doesn’t always mean that it’s time for a rest. SET IT UP: Ride on a 20m circle, starting on the left rein. a) Walk on and get him going forwards so that he’s pushing from behind. b) On the sides of your circle, ask your horse to halt. c) Keep the halt for a couple of seconds and walk, getting him to move off your leg as quickly as possible. d) Walk to the next side of the circle and halt again, repeating the process around the circle. RIDE IT: Round the circle three times on both reins (or until your horse is responding correctly). THE NEXT LEVEL: Transitions aren’t just restricted to changing gait, use them to change the pace too. In between each halt, vary the pace of your walk by collecting or lengthening. TOP TIP: Make sure you’re halting on your terms and don’t be afraid to walk a few steps if he needs to straighten up. Giving and retaking the reins will also help to make sure you’re not holding him in position and he’s actually halting without relying on your hand.